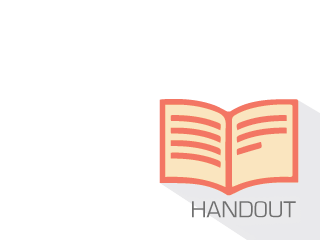 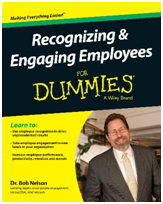 The end of the year is a traditional time to recognize employees, but how you recognize them will define the difference between boring and exciting, between ineffective and engaging, and inspire greater performance in the coming year. 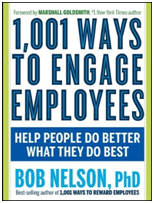 Join Dr. Bob Nelson, multi-million copy bestselling author (1501 Ways to Reward Employees, The 1001 Recognition & Rewards Fieldbook+) and the world's leading authority on employee recognition, rewards and engagement to discuss creative ways you can recognize your employees this holiday season that goes beyond a glass of eggnog at the holiday office party. 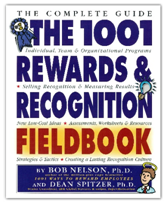 All registrants will receive a copy of Dr. Bob's recent interview "How to Meaningfully Recognize and Celebrate Employees" as well as his article "What Really Motivates Sales Employees".